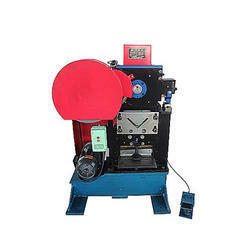 Leading Manufacturer of metal shearing machine from New Delhi. Our core business lies in meeting customer's expectations and for this, we are engaged in providing the outstanding quality Metal Shearing Machine. It is manufactured under the observation of our experienced team using pristine quality materials. This is best for performing various operations such as bending, shearing, and rolling applications. Further, this Metal Shearing Machine is available with us in a variety of specifications at marginal prices.